Congratulations! A separate note will be sent to you requesting your mailing address! Congratulations to the winners! I hope they enjoy the book! Move over Sandy I call dibs on the shelf first!... alright SECOND DIBS! Congrats to the winners. And what a cool bookshelf! I love the bookcase in your photo! Super fun and so pretty! Hey, it must be winner day! :) What an amazing bookshelf. 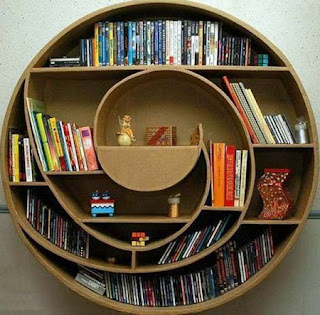 I know, I love this bookcase! I wish I could put my books on this one -- where do I find the space to put this thing, though? I still want it, though, in case any of you are wondering what to get me for a "birthday/Christmas/just cause gift" reason...! !